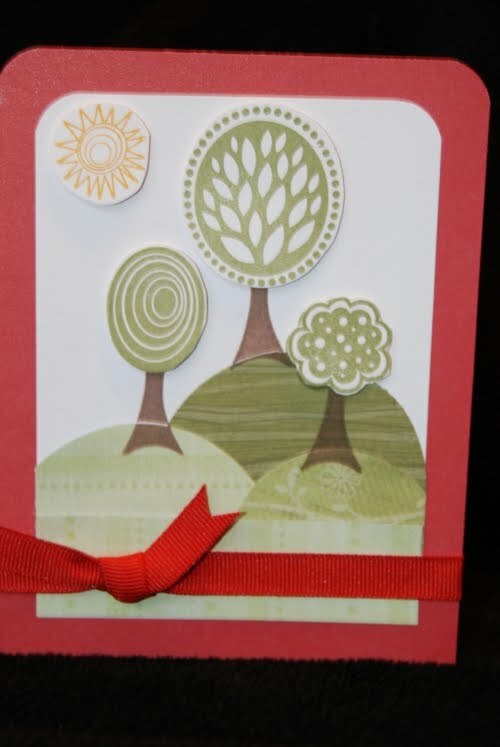 This is the Mother's Day card I sent to my mother-in-law this year. I lifted this card from a fellow consultant on the CTMH Consultant Bulletin Board - a huge perk of being a consultant is access to other consultants fabulous ideas! 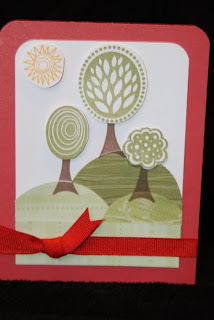 I just loved the fun use of punched circles on this one and as one of my friends said - "you can't go wrong with Treetops (that's the stamp set), anything you make with it is cute"! Very true! I hope all you Moms out there are having a wonderful Mother's Day this Sunday! My family did a great job of making me feel loved this morning. One of my all time favorite quotes about being a Mom is from Jackie Kennedy - she said basically "if you screw up raising your kids, nothing else you do will matter very much". I couldn't agree more. Here's to all us hardworking Moms out there who give their all to their families and here's to all the precious kids who make being a Mom worth the effort! Happy, happy Mother's Day!